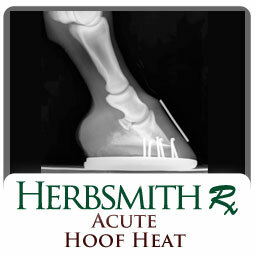 Herbsmith Rx Acute Hoof Heat is a formula of herbs used for hundreds of years to assist in the management of hoof health during a laminitis episode. 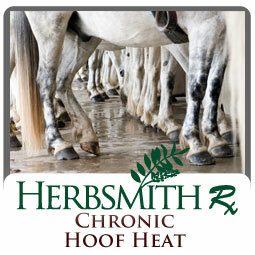 Herbsmith Rx Chronic Hoof Heat is a formula of herbs used to assist in the management of hoof health during chronic laminitis/founder episodes. 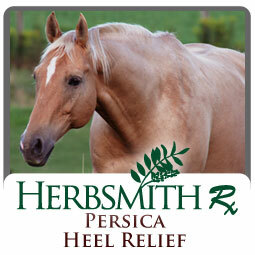 Herbsmith Rx Persica Heel Relief removes blood stagnation in the hoof, assisting in the management of heel pain. 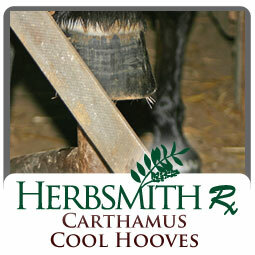 Herbsmith Rx Carthamus Cool Hooves cools and invigorates the blood of the hoof, assisting in the management of laminitis and founder.